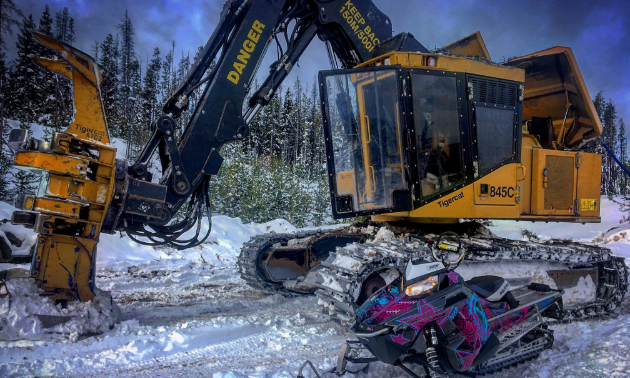 It’s a phrase Hannah Dehoog has heard many times throughout her life, whether it be while popping a wheelie on a motorbike, climbing craggy cliffs on a snowmobile or setting an example as an efficient feller buncher operator in the forest industry. Whatever challenges this rad rider encounters, she tears it up, leaving a track in her wake. Dehoog was born in Smithers, B.C., and raised on the outskirts of the town. Dehoog works for Matt Hromatka Contracting Ltd. as a feller buncher operator, running and maintaining a variety of equipment. Her primary machine is a Tigercat LX870C. It has a heavy duty diesel engine that powers eight high-pressure hydraulic pumps on a track machine that tilts and levels the cab to carry its weight up steep slopes. It has a giant spinning saw on it and grab arms to collect trees as Dehoog cuts them down and lays them in bundles in a tidy, precise pattern. Since Dehoog is the only woman on the crew, she faces several unique challenges. “There is a physical strength disadvantage,” she said. “It’s more difficult for me to use heavy wrenches that are as long as my arm, but I still do it. Then there’s hygiene. Some days I get covered in grease and oil. We all have limited access to showers while living in the bush. It can be extra challenging for me over someone who just has a buzz cut. Despite working 12-hour shifts, Dehoog makes the most of every opportunity to go out for a ride. When Dehoog is home, she has the good fortune of having several different mountains to explore within a 20-minute drive. 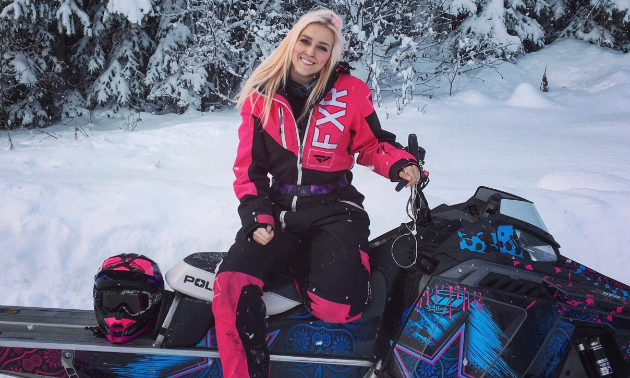 Her favourite place to go sledding is the Telkwa Microwave, the closest trail to her home. When it comes to dirt biking, Dehoog chooses challenge over convenience, opting to ascend Hudson Bay Mountain in the Smithers area near Silvern Lakes. When it comes down to it, Dehoog isn’t an adrenalin junkie just for the thrills. It’s a positive lifestyle choice that sees lasting benefits. 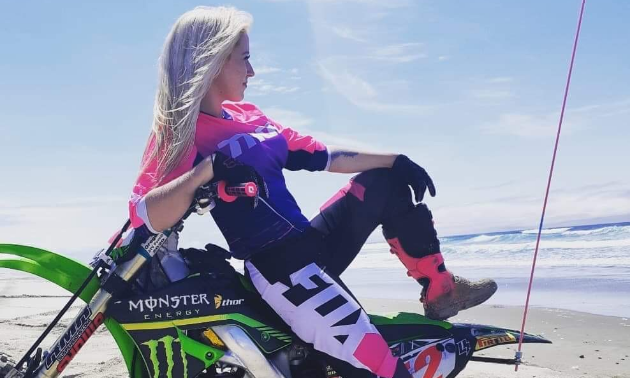 Dehoog was introduced to high-octane machinery at a young age when her father bought her a dirt bike. The youngster took to the bike with eager enthusiasm, teaching herself how to ride, and even took part in competitive races at a now-defunct nearby race track. As you might expect, these experiences left their mark on the avid student of the sport. Thanks to Dehoog’s determination to push her limits and prove her ability, she’s positioned herself as a trailblazer who’s wise beyond her years. Dehoog doesn’t just have an affinity for machinery, she’s a talented artist too. 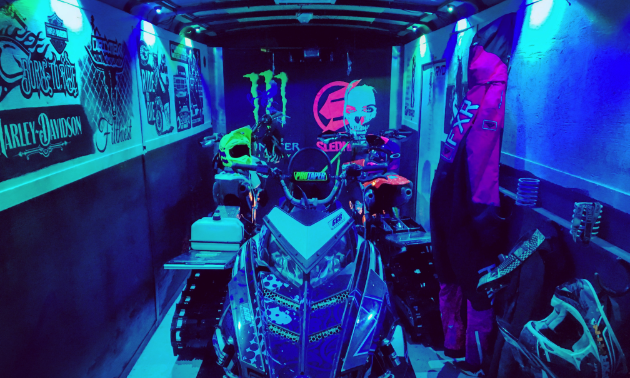 She’s painted the interior of her toy hauler for some extra inspiration. Inanimate objects aren’t the only thing Dehoog is making permanent marks on either. The wunderkind recently bought tattoo equipment and—unsurprisingly—has managed to teach herself how to ink beautiful tatts into her own skin. If you want to see more of Dehoog’s wild life, or her pitbull wearing sunglasses, check out her Instagram page @loggergirl_hanimal. 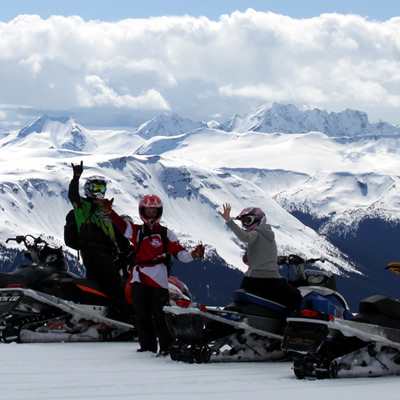 Smithers, BC Trip planner: What you need to know before snowmobiling in Smithers, B.C. 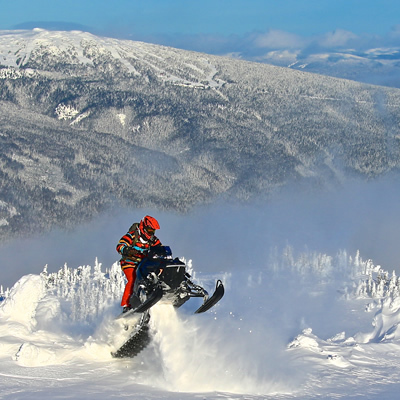 Trail maps, top snowmobile trails, club contacts and other useful information you can use before planning a snowmobile trip to Smithers, B.C. 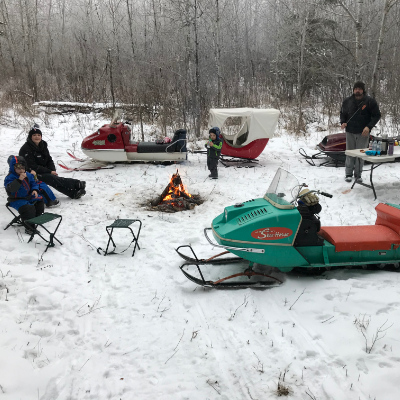 With five different mountain sledding zones to care for, the Smithers Snowmobile Association is a busy, hardworking club.